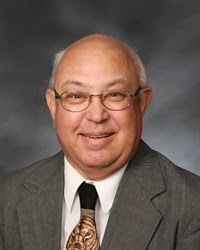 New Richmond Board of Education member David Hawkins has been selected for the Friend of Athletics Award by the Southwest District Athletic Board of the Ohio High School Athletic Association in recognition of his 27 years as a volunteer at New Richmond High School. Mr. Hawkins, who has been a school board member for 22 years, has operated the scoreboard for varsity, JV and freshman football for 27 years; served as official scorer for boys varsity, JV and freshman basketball for 26 years; started the New Richmond Middle School wrestling tournament and served as its director for 12 years. 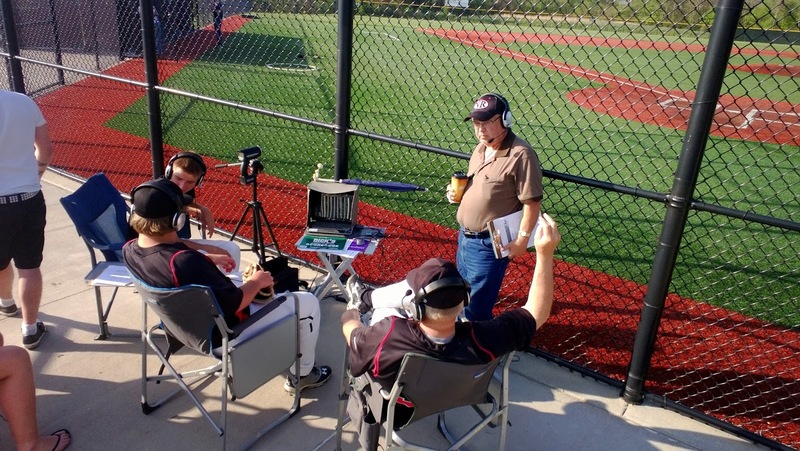 In addition, Mr. Hawkins has been part of the www,newrichmond.localsportsradio.com team for the past five years, helping broadcast more than 50 football, soccer, wrestling, girls basketball, and baseball events per year. David Hawkins interviews Lions baseball players during a post game show. One of those volunteers is Kevin Walriven, who spotted for Hawkins for many years at football games and has sat next to him at basketball games for almost 20 years as the scoreboard operator. Mr. Hawkins will be honored March 8 at 5 p.m. at Xavier University’s Cintas Arena during the Southwest District basketball tournament. 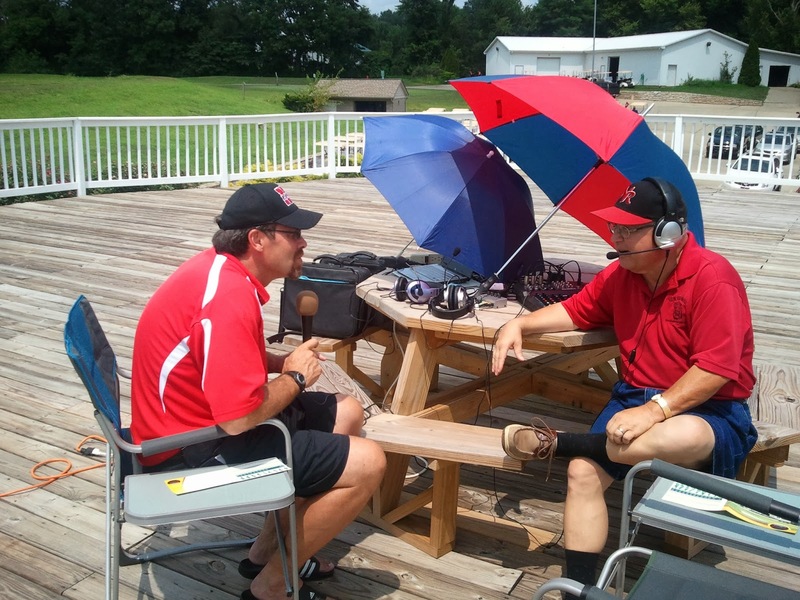 David Hawkns interviews New Richmond athletic director Doug Foote during a NR Lions Sports Foundation event.